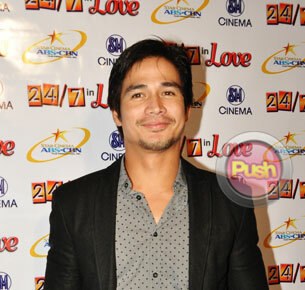 Piolo Pascual is all set to do an action film together with Gerald Anderson and Shaina Magdayao. Piolo Pascual revealed that Star Cinema is eyeing Shaina Magdayao to be his leading lady for his next project OTJ (On The Job) to be directed by Erik Matti. The actress wasn’t available during their recent story conference since she’s currently in Europe for vacation. The two worked together in the teleserye Noah. “Only if she accepts the role. We’re crossing our fingers. She’s our choice for the role,” he said in an interview with Push.com.ph.